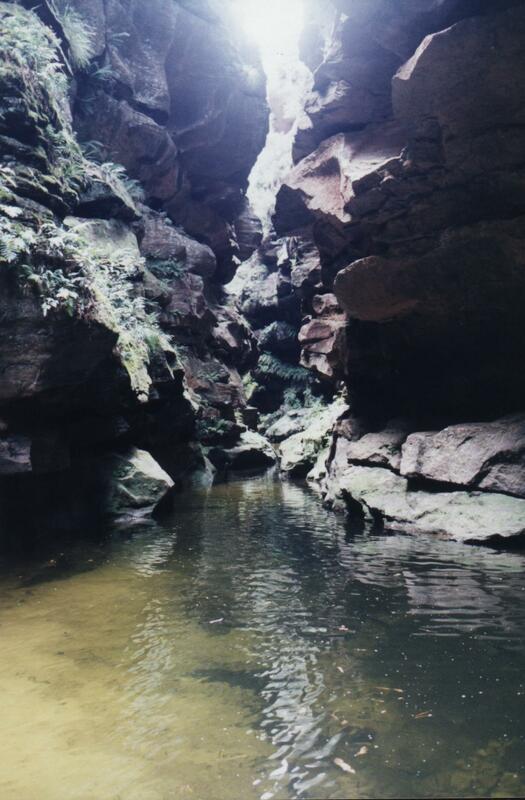 Here are a few canyons in the Bungleboori region in the Wollemi National Park. 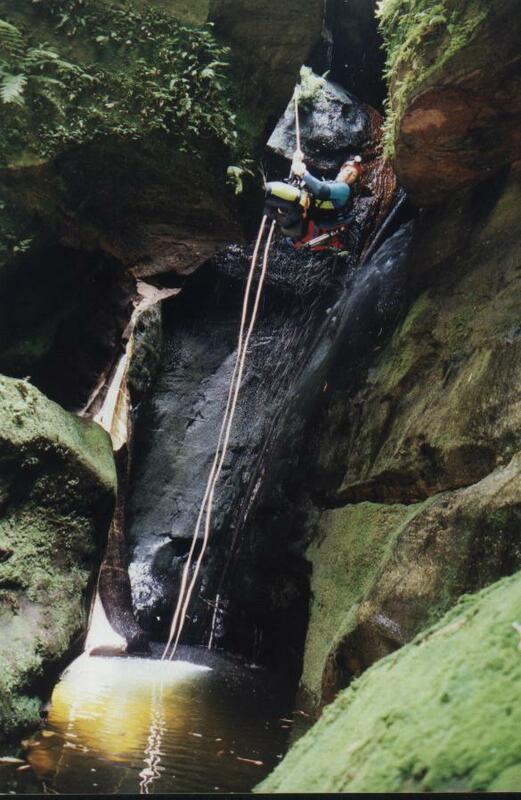 Doc on the final abseil on Banks canyon. Banks is a fair walk to get to with an extra 3km to travel thanks to National Parks. The canyon itself is fantastic and very picturesque. Not a canyon for arachnafobiacs, there are many spiders through the swim sections. Doc again in Hole in the wall. Exit is the same for Banks, a short swim up the Bungleboori then a nice walk up the hill. Easy to find, with many short abseils and a nice dark tight squeeze. 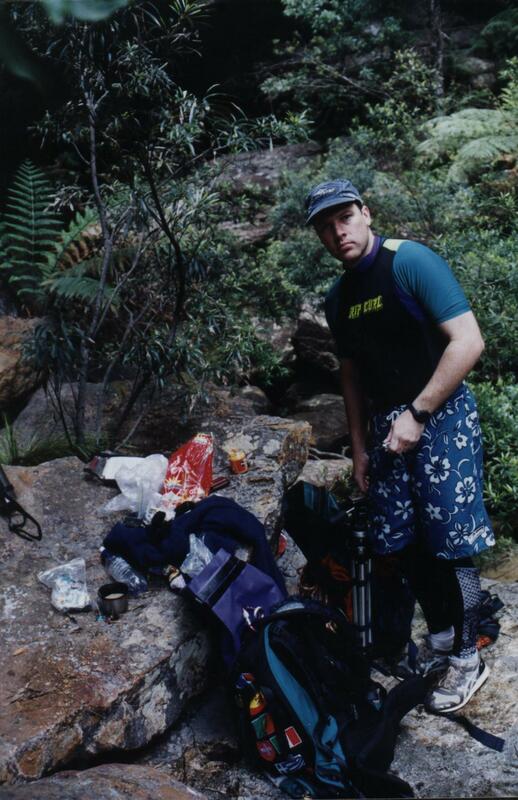 Depending on silt levels in the cave the sqeeze can be quite difficult. you can always go over the top though. Bungleboori lunch spot. What does a canyoner eat for lunch, well today its hot coffee, peanut butter rolls, tuna and off coarse chocolate for dessert. The knife is for spreading the peanut butter....I think. 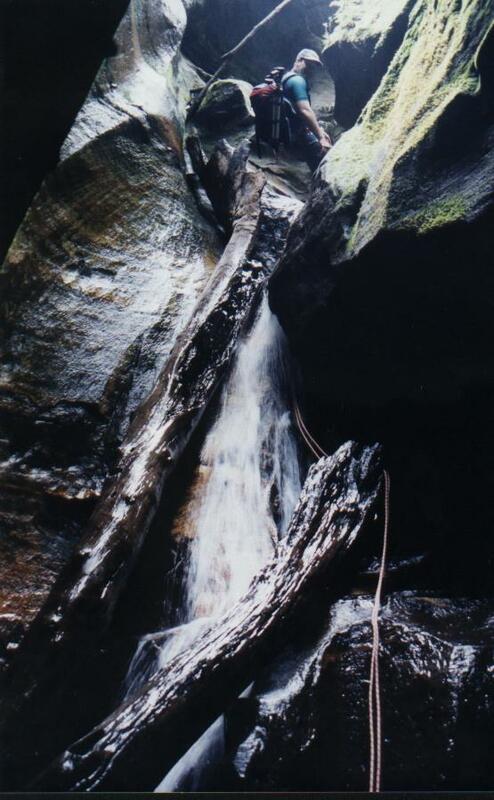 Pictured is the beautiful Bungleboori looking upstream. Its not so forgiving in high water, many a person has been stuck unable to fight the flow of water. The smart canyoner will always have a good knowledge of weather conditions for the day for any canyon.